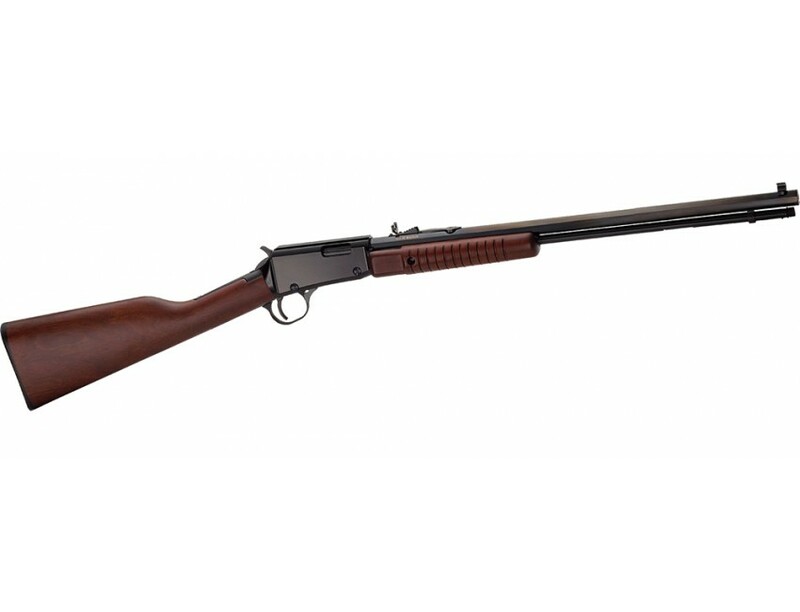 The Henry pump action octagon .22 as an all American icon. It is fitted with a blue octagonal barrel, a grooved receiver for mounting a scope, and Marbles semi buckhorn fully adjustable rear sights with standard 3/8" dovetail slots enabling you to change sights if you choose to do so. The rifle is beautifully finished American walnut is used for the stock.